The beautiful Howard Community College campus is located in Columbia, Maryland. For driving directions, please visit this link. 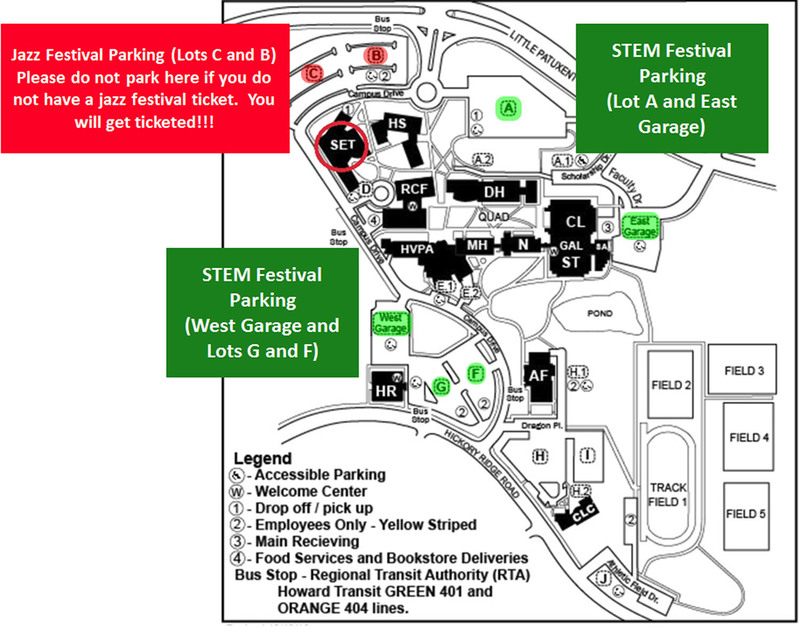 The 5th Hoco STEM Festival will take place in the new Science, Engineering and Technology Building, circled in the area map below. Visitor parking closest to the building are lots G, F and the West Parking Garage. The closest handicap parking is found in lot D. Please do not park at lots C and B. These spaces are reserved for the Jazz Festival. You risk getting a ticket if you park here! For questions about driving directions or parking access, please call the campus public safety office at 443-518-5500.